All raffle winners will also enjoy the benefits and excitement of taking delivery of their new Corvette at the Museum as part of the “R8C Museum Delivery” experience. 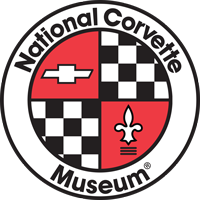 A VIP tour of the Museum and Corvette Assembly Plant (if available), one-year individual membership to the Museum, hands-on training/instruction by a NCM delivery team member, program decal and a wall plaque are all part of the Museum Delivery experience that is available exclusively through the Museum. R8C deliveries are viewed world-wide via the Museum’s webcams. Winner/Purchaser must be 18 years old with a valid driver’s license. You can watch our raffle drawings live on the Museum webcams, or on our Facebook page. The webcam varies by drawing but is typically on one of the Delivery cameras. No sound is available on our webcams. On Facebook, the drawing's live stream will pop up on the page approximately 1 minute or less before the drawing. Due to postal regulations, raffle ticket stubs cannot be returned by mail for purchases over the Internet, through the mail or by telephone. When an order is placed, the system will complete the ticket by filling in the name, address, and phone number, and we will drop the ticket in the barrel at the National Corvette Museum. At the drawing, the winner will be contacted based on the name and information on the ticket. To pick up the vehicle, two forms of identification, one of which must be a photo ID, will be required to prove that this person is the person on the winning ticket. Purchasers buying via the website will receive an email providing their raffle ticket numbers and can also log in to their account to obtain their ticket numbers if desired. NCM is not responsible for undelivered, lost or rejected emails. Winner need not be present to win.